Home > Can a Totally Inexperienced Person Become a Federal Judge? Can a Totally Inexperienced Person Become a Federal Judge? Believe it or not, the U.S. Constitution sets forth no specific requirements about who can become a federal judge. Federal judges include Supreme Court justices, court of appeals judges, and district court judges. These are all nominated by the President and confirmed by the United States Senate. They are all appointed for a life term. A federal judge is not even required to possess a law degree! U.S. Bankruptcy Court and federal Magistrate Judges are selected differently, and do not have life terms. Although there are no legal requirements, an informal set of criteria has arisen for nominating federal judges. Potential nominees are often recommended by senators or sometimes by members of the House who are in the President’s political party. First, candidates are subjected to thorough background checks conducted by the Department of Justice and the FBI. Those with judicial experience will have their past opinions carefully examined. Former litigators will have their performance and tactics closely scrutinized. Any published writings, including papers dating back to college, will also be reviewed. A candidate’s public views on certain issues are also subject to scrutiny, including any social media presence. The American Bar Association’s committee on the federal judiciary also reviews each candidate’s integrity, competence, temperament and experience. The ABA issues ratings of “well qualified,” “qualified,” or “not qualified.” The ABA’s endorsement is not necessary for confirmation but can help attract more votes for confirmation. 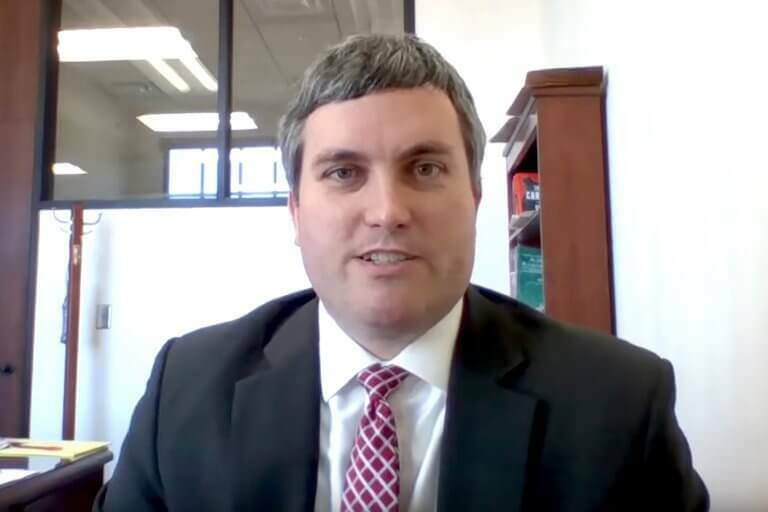 Recently, President Trump nominated a 36-year old lawyer, Brett Talley, to a federal district judgeship in Alabama. Although Mr. Talley graduated from Harvard Law School and was a deputy assistant attorney general at the Justice Department, he had never tried a case in any court. Mr. Talley had also never argued a motion in Federal District Court. Mr. Talley was only the second nominee to receive the “not qualified” rating unanimously from the American Bar Association. Since 1989, the association has unanimously rated only two other judicial nominees as not qualified. The Trump administration later announced that his nomination would not be moving forward. Another Trump nominee, Matthew Petersen, withdrew his nomination to the to be a United States District Judge of the United States District Court for the District of Columbia after receiving criticism for his poor performance during his confirmation hearing. At his confirmation hearing, which went viral, Petersen was unable to answer the most basic questions about law, such as what a motion in limine or the Daubert standard was. Petersen admitted he had never handled a jury trial of any kind or argued a motion in state or federal court. Of course, there are federal judges who have not tried cases before a jury. In 2010 Nancy Freudenthal was nominated to Wyoming District Court by President Barack Obama, but had never tried a case before a jury. Ms. Freudenthal was confirmed by the Senate, 96 to 1. In fact, America has a long history of even non-judge Supreme Court Justices. There are no set rules for qualification to sit on the Supreme Court. Although every past justice has been a lawyer, 41 of the 109 justices had no prior judicial experience. Former Chief Justice of the United States Supreme Court, John Marshall, is revered for his decision in Marbury v. Madison (1803), which is credited with making the Supreme Court a co-equal branch of government by exercising judicial review firmly over acts of Congress. But before joining the Supreme Court in 1801 had almost no formal schooling and studied law for only six weeks. He had never served a day as any kind of judge and lost the only case he argued at the Supreme Court. Highly respected Supreme Court Justices William Rehnquist, Felix Frankfurter, Earl Warren, and Louis Brandeis all had no prior judicial experience prior to joining the highest court in the land. Who is qualified to sit on the Supreme Court is a determination made on a nominee by nominee basis by at least 51 US senators. What do you think? Should a federal judge have minimum qualifications of some sort?